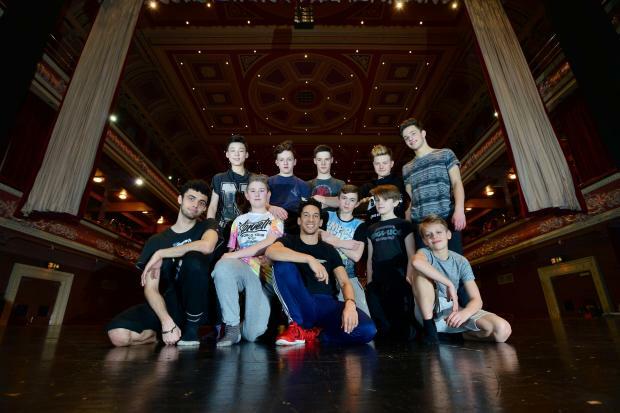 [Bradford, West Yorkshire, England] – A dancer who left Bradford more than two decades ago to pursue his dream career has returned to train the city’s next generation of ballet boys. Lee Smikle was 19 and had only been learning ballet for one year when he auditioned with about 900 hopefuls and won a place at a dance college in Swindon in 1992. He had been working as a theatre usher at St George’s Hall and was so star struck by all the musicals and dancers he saw on stage that he put his name down for classes at the Wilson Dance Academy in Shipley. “I am a Bradford Billy Elliot story. I came into dance late. There was nothing like this for me at that time so I am pleased to be here in Bradford now doing this,” Lee said. Lee, who is now 43, lived in Allerton with his father. Since leaving the district, and following more training at the Rambert School of Ballet and Contemporary Dance, he has danced around the world with the internationally acclaimed Matthew Bourne’s New Adventure Company. 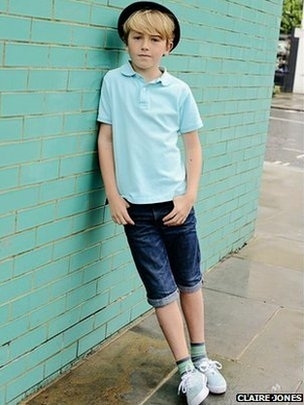 He has also appeared in a Kylie video and the Billy Elliot film. This week he is back in Bradford as a professional dance teacher and choreographer working with a group of boys from the city and across Yorkshire. They have been creating a five minute piece to perform in front of a packed Alhambra audience before the curtain raises on a professional performance of Sleeping Beauty on Friday, February 26. Matthew Bourne’s New Adventures Company starts its five-night show on Tuesday, February 23. 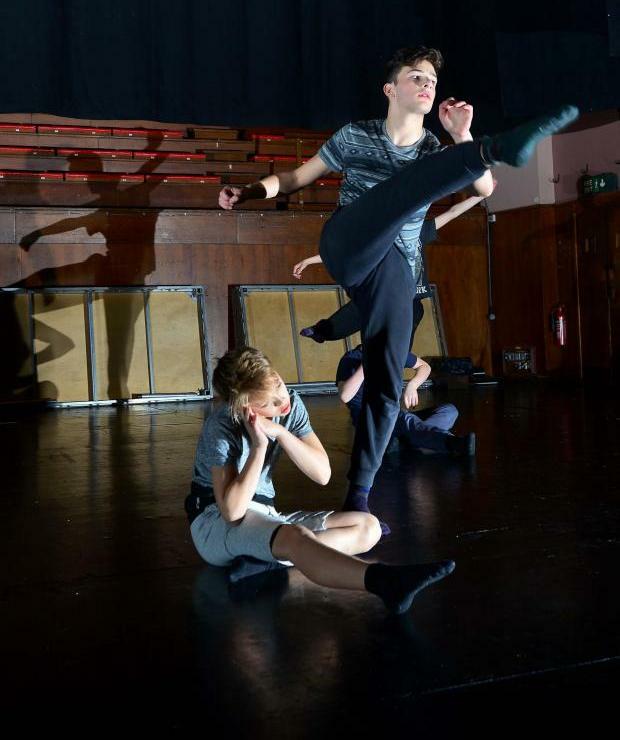 The half-term workshop at St George’s was part of a dance project legacy left from Matthew Bourne’s Lord of the Flies when it came to the Bradford stage one year ago. All the boys at the Sleeping Beauty workshop had parts in the Lord of the Flies and the project is a way of keeping them hooked on dance with mentorship and opportunities. Lee, who is a resident artist at the New Adventures & Re:Bourne company and founder and artistic director of London’s Shoreditch Youth Dance Company, said he was pleased to be back in Bradford. The legacy workshop is in partnership with Bradford Theatres, New Adventures & Re:Bourne and Leeds-based Pheonix Dance company. Among local boys being put through their paces by Lee are Ilkley Grammar School pupil Daniel Burgess, 14, from Ben Rhydding and 15-year-old Bradford Academy student Joshua Batty from Bierley who, despite having his arm in a plaster cast after a football clash, will be in the spotlight. A world-renowned soloist from The Royal Ballet is on a mission to persuade soccer-mad boys from Hackney to swap their football boots for ballet [shoes]. 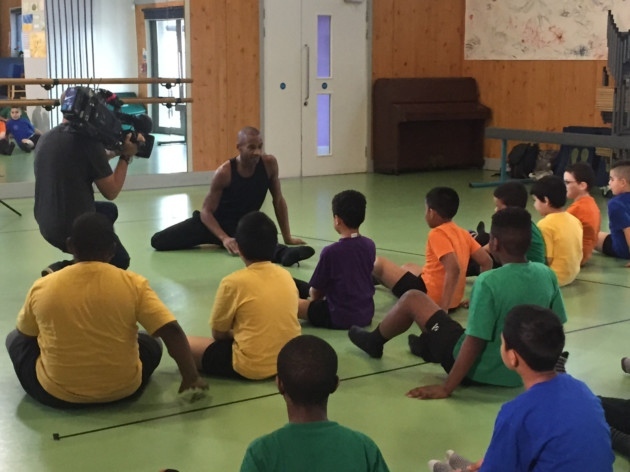 [London, England] – The BBC tracked American dancer Eric Underwood as he went into Berger School in Homerton to inspire the students. He wants to see more kids from less affluent backgrounds – and in particular more boys – give classical dance a whirl. He was filmed by regional London current affairs programme Inside Out as he visited the Anderson Road school. Mr Underwood told the Gazette: “Ballet has a stigma, especially to children, that it’s primarily all about girls dancing around on their toes. Since the beginning of time all little boys think that just girls dance. 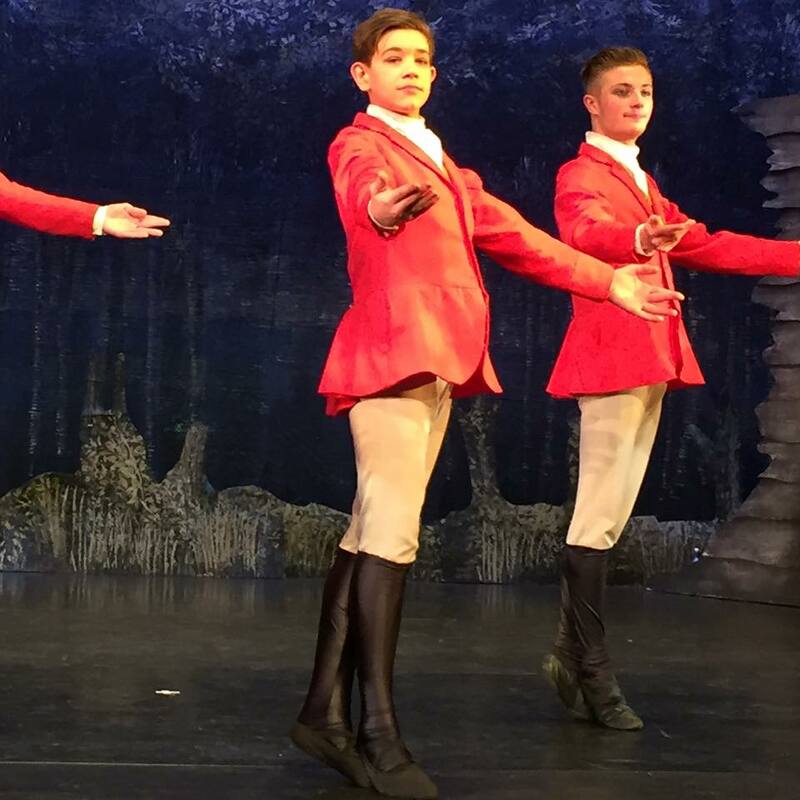 It’s difficult for boys to say: ‘I want to be a male ballet dancer.’ They are shunned. The 31-year-old grew up in a poor suburb of Washington DC and only started dancing ballet aged 14 when he “accidentally ended up in a dance class”. He later won a scholarship for New York’s School of American Ballet. Mr Underwood, who moved to Shoreditch two years ago, showed the youngsters clips of ballet dancers and talked about his life before putting them through their paces, demonstrating spins, splits and stretches. He picked out two boys he felt had the potential to take on ballet as a career and returned to the school with ballet [shoes] for them. He found the youngsters at Berger “really receptive”, and “a lot more open minded than adults”. “I’m fortunate that someone introduced me to ballet,” he said. “I feel a bit of an obligation to return that favour to other boys. I was like them at their age – I didn’t come from a family that was super arts-inclined. Ballet has given me a chance to see the world, I can provide for my family; it’s given me a chance to work with photographers and as a model. “I definitely think I made a break through. If not dancers, they may become future audience members – posh people go to the ballet whether they are in America or in England, and I’m trying to get it a little bit more acceptable for other people to go, too. 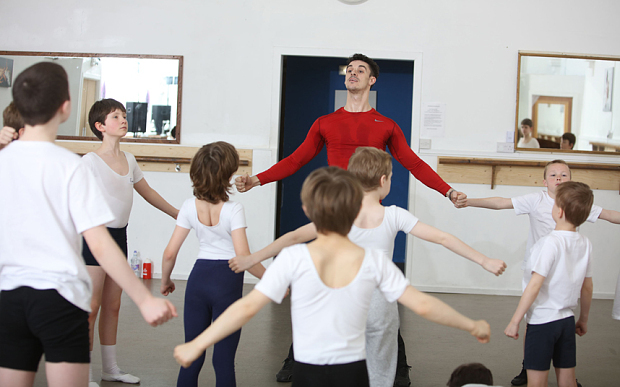 [London, England] – Youngsters gather in a room in north London for a ballet lesson. But here there are no tutus, pirouettes – or even any traces of pink. Jean-Claude Van Damme, Rio Ferdinand and Christian Bale may not sound like your typical pink tutu-wearing ballerinas. But all three have taken ballet classes in the past and are role models for pupils at the London Boys Ballet School, the first of its kind in the UK dedicated entirely to boys, according to its founder James Anthony. 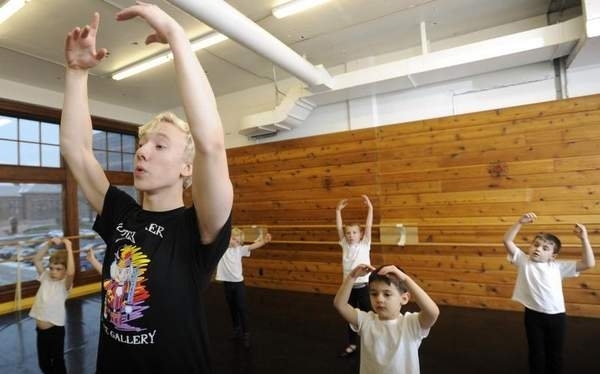 The popularity of the school may be part of a trend that is seeing more boys take up ballet and other forms of dance. Royal Ballet School figures show the number of boys who applied for full-time training with it increased by 30% in the past two years. “There are many more male dancers as role models on stage and on our TV screens which helps to counter some of the perceived negativity around boys taking up ballet,” says Annalise Cunild from the Royal Ballet School. Elsewhere, probably Britain’s best-known choreographer Matthew Bourne recently recruited more than 300 novice dancers for his Lord of the Flies tour, in an attempt to get more young men dancing. Mr Anthony says he started the London Boys’ Ballet School, which offers weekend and evening classes, partly because he was too embarrassed to take up ballet when he was growing up in Swansea. “I really wanted to take up ballet when I was at school but I thought I would get bullied,” says the former teacher and sports coach. He says boys who are good at ballet need “huge amounts of strength, confidence, flexibility and athletic ability”. One of the school’s star pupils, nine-year-old Ellis Jones, says he was inspired to try out ballet after seeing a dance show and “wanting to do what the dancers could do”. So could international interest from budding Billy Elliots mean the London Boys Ballet School might put its best foot forward elsewhere? “It’s early days, but you never know,” Mr Anthony says. [London, England] – Budding Billy Elliots are being sought for a flagship all-boys ballet school setting up in Finsbury. 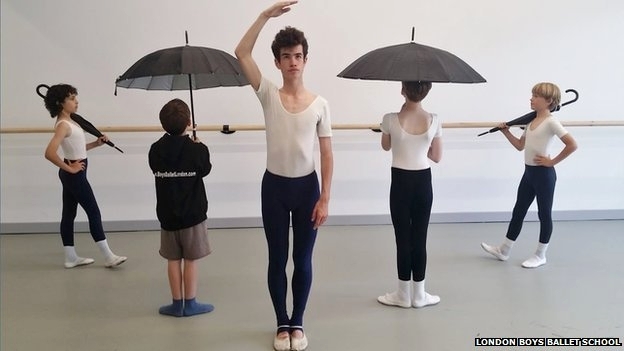 London Boys’ Ballet School, the first of its kind in the UK, is set to open next month and founder James Anthony is hoping to end the taboo surrounding lads in leotards. Mr Anthony, 32, started one-on-one ballet lessons a year ago as he was too embarrassed to take it up as a child in Swansea. Now he wants to stop other boys being put off by creating an environment in which they don’t feel like the odd ones out. Mr Anthony recently took over his mother’s dance school business in Swansea, which has been running for more than 35 years and has 150-plus students. He is involved in a number of other theatre and dance projects in London and south Wales and is a former teacher and sports coach. 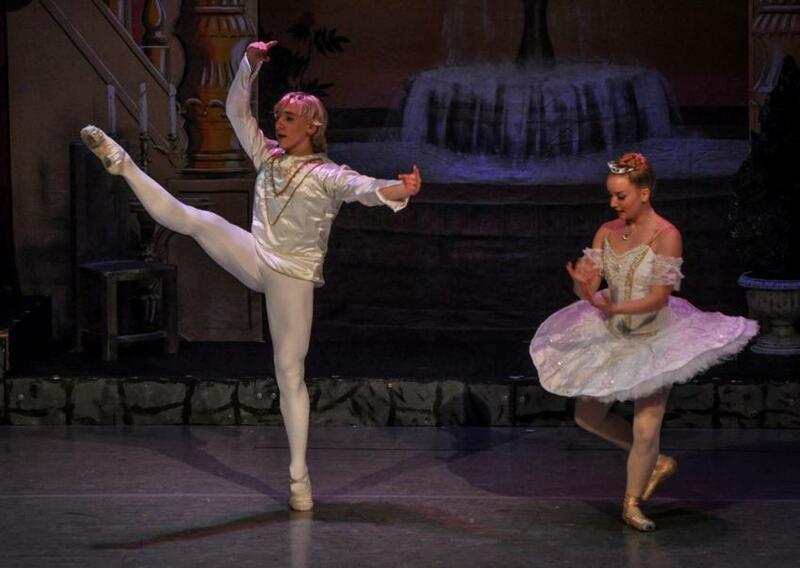 Drafting in his sister Amelia Jane, an experienced ballet teacher who has performed and taught all over the world, he is hoping to show boys that there is nothing embarrassing about ballet. “I took up ballet when I was 31 at the Royal Dance Academy and they said it would never happen but now I’m looking at taking exams. Despite living in Brixton, Mr Anthony chose Islington as a base for the school as he said the majority of interest he had received for the project had come from north London. The classes, suitable for boys aged four to 14, will be held at The Old Finsbury Town Hall in Rosebery Avenue. The school opens on March 1 and the first class is free. Go to www.boysballetlondon.com for details of how to sign up. 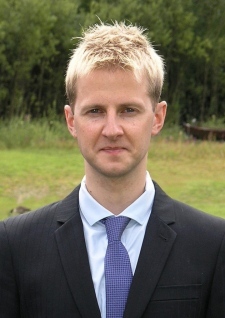 © 2014 Archant Community Media Ltd.